If you like a roistering St Patrick’s celebration, you’ll enjoy MoMac’nMe, playing the Oldridge Bar, Kingshill House, Dursley, on Friday 15 March. These accomplished musicians have a unique and mixed sound, and grew out of a shared passion for traditional Celtic music and songs. Their repertoire combines Irish and Scottish with English material. The singing of the Clancy brothers from Ireland and the Scottish duo the Corries have been particularly influential. 'Mac' Cullen, 'Mo' Turton and Phil Dee have recently been joined by Guy Halley on the violin adding his classical background, with a touch of gypsy jazz, to the mix. 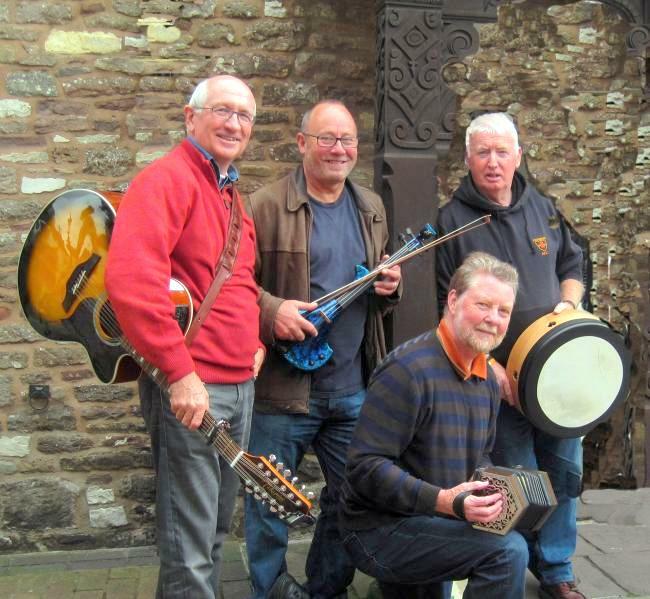 Very popular in the north Bristol area, they now have two CDs recorded and produce a great sound with their combination of guitars, banjo, bouzouki, fiddle, concertina, melodeon and bodhran. For those who would also like to eat, a home cooked meal will be served in the bar. The kitchen and bar will be open from 7.00 with the entertainment starting around 8.00, children accompanied by an adult are welcome. There is no entry charge but we do pass the hat round. 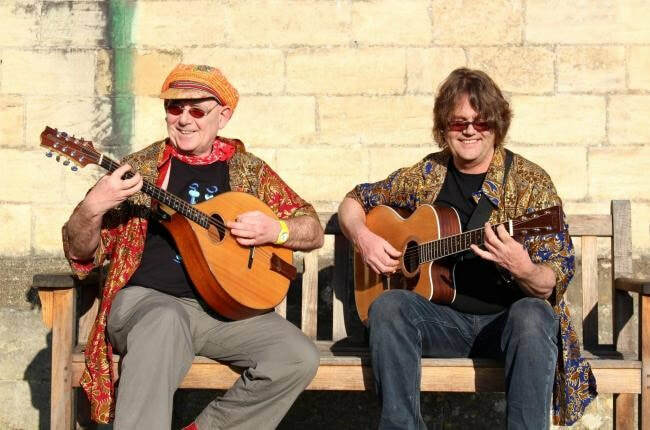 ULEY-BASED duo The Welcome Parrots will be performing their eclectic mix of blues, folk and Americana at Kingshill House on 20th April 2018. Ken Lush (mandola, mandocello and guitar) and Phil Harris (guitar) also give their own takes on pop classics and original pieces, sprinkled with a healthy dash of humour. Phil and Ken have worked together for the best part of 35 years including popular pub rockers “Short Elbow” and the slick jazz/roots quartet “Club of No Regrets”. Returning again to Kingshill House on Friday 25th May 2018 as part of the “Friday Night at the House” events, Chris Finch has a varied repertoire which includes classical, baroque, flamenco, romantic and jazz styles. His performances have been described as ”highly colourful and uniquely expressive, fully capturing the character of the music”. Originally from London but now based in Gloucestershire, Chris has been a professional musician for over 25 years. During which time he has performed live and in the recording studio with bands, theatre companies, guitar ensembles and as a soloist. As well as performing alone, Chris also plays electric guitar with the Gloucestershire based alternative rock band, Sonnitus and teaches classical, electric, acoustic and bass guitar at Gloucestershire primary and secondary schools. Kingshill House are delighted to welcome Chris back for what is sure to be a vibrant evening spent amongst friends in the fabulous Oldridge Bar.